I am for a “Fairer Britain” for all. So when I turn up to vote it will be the liberal democrats who will get my nod. My reasons are more than about the leadership of the Lib Dems. It is about the integrity and vision of their policies for the common good, the wisdom to look beyond the present and their vision of all participating in working towards the common good for both present and future. I am not surprised that in the first televised election debate among the leaders of the three main parties, that the leader of theLib Dems came out best in the polls. Labour and the Conservatives are spending too much time in endless parrying between themselves – gloating over their own importance, thinking it is already a foregone conclusion that one of them will be in power and that the Lib Dems is just that slight irritation to be brushed off. What arrogance! Luckily, the public is not daft. One is often amazed, however, when one’s liberal colleagues would also brush off the Lib Dems as not standing a chance because of this being a small party and the political system only gives a chance to the big traditional parties. Of course, they will only make it, if people can move beyond institutionalised political allegiances, discern that change is possible, and instead follow both their heads and hearts! Notwithstanding, I wish to say to all the cynics and fed-up voters who may be reading this blog to consider going to the polls and vote. Writing from a faith perspective, my understanding is that faith does not distance itself from elections. In fact, it propels us to vote, and even urges us what to vote for, and faith makes us cognisant of the consequences of voting for wrong policies. 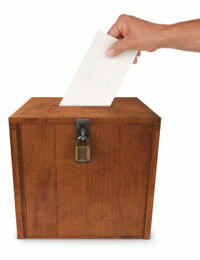 We are called to vote, for what is at stake is the well being and common good of all – the whole of society. Failure to vote when the common good is at stake is a sin of omission. And faith urges us to vote policies, laws and candidates who will protect the human life and dignity of each human being. Yes, I do have a free will and I can decide to vote for what I perceive to be of my own self-interest and not that of the common good. But if my political life is to degenerate to the level where I am only concerned about my own interest and that of my group, then I have fallen short of the golden rule – “love of God and love of neighbour”. So with and in faith lift those tired feet and despairing hearts and cast your vote!